Brooklyn percussion trio Tigue will play the Burchfield Penney Art Center. ReSounding: Sonny Baker, 7 p.m. March 21, Burchfield Penney Art Center (1300 Elmwood Ave.), $5-$10. Burchfield Penny's ReSounding music series will return for its next installment Thursday night at the Elmwood Village gallery with a full band performance by Sonny Baker. The Buffalo wunderkind, also a long-time employee at the Burchfield, has spent half of his life playing in venues all over the Buffalo area. This week's set at the BP will be a rare occurrence for the eager musician. "The East Gallery at the Burchfield has 28-feet-high ceilings, so the reverb in the space is incredible," Baker said. "The only other comparable performance space in the city would be Silo City, which I've only played as a solo act. Bringing in the full band to a space like this will be an exciting challenge." Baker had a little first-hand prep leading up to his set. Last fall, songwriter and multi-instrumentalist Jacob Peter kicked off the new series with a performance that forced the artist to tinker with his louder, guitar-driven sound. "Jake and his band immediately adapted to their surroundings," Baker said. "Every song was delicate and each player was able to hold back enough as to not create too much chaos, but also enough to ooze emotion from each tune. We will have to be very disciplined in every note we play or sing." "Our set will be much more subdued than usual. I'll be pulling out songs that fit the space. Many of our newer songs, I think, will be perfect in that setting." ReSounding will complete its current run on May 2 with a set from the Shallows band leader Joseph Myers. Tigue, 7 p.m. March 22, Burchfield Penney Art Center (1300 Elmwood Ave.), $5-$10. 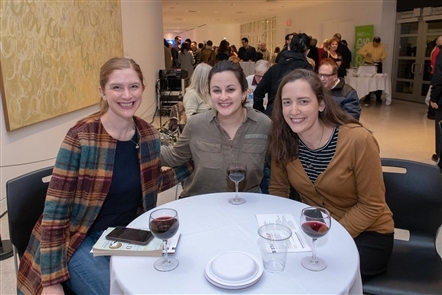 Experimental New York City three-piece Tigue will take over the Burchfield's sonically rich East Gallery to kick off the first weekend of spring. The musically fluid, hard to classify trio of percussionists will be making a Elmwood Village stop to perform selections from its latest release, 2018's dynamic four-track "Strange Paradise." The EP is the follow-up to the band's well-received debut "Peaks," which was shared in 2015. 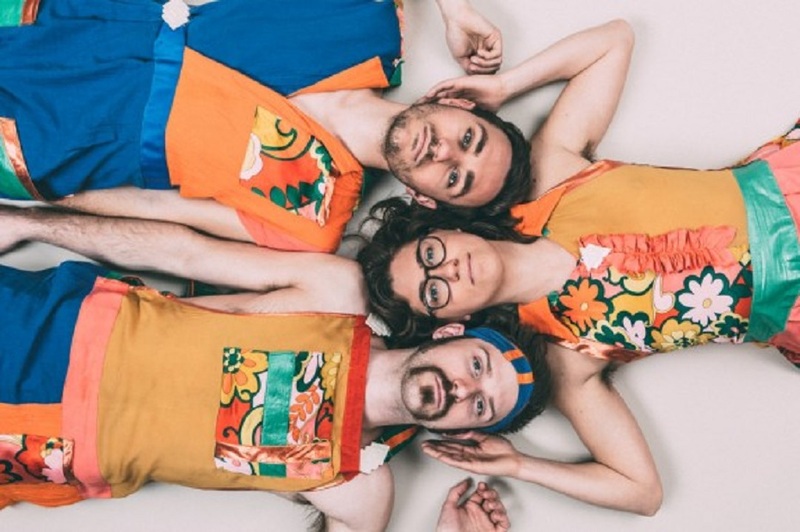 "Tigue is a multi-faceted trio that expertly treads the line between indie-classical and art rock," said the center's Assistant Production Manager John Smigielski in a recent interview. "Seamlessly jumping from hypnotic drones to blistering post-rock, the band has proven itself to be a powerhouse of Brooklyn’s burgeoning indie-classical scene. "At its core, Tigue is pioneering a sound that is very reflective of the time; a chaotic yet deliberate synthesis which takes into account a myriad of influences that are equally at home in a concert hall or a rock club." If that didn't sell you on rolling the dice, the trio's Sofar Session (check it out below) from 2016 should seal the deal. Tokyo Police Club, 7 p.m. March 23, Town Ballroom (681 Main St.), $22. Energetic alternative rock acts Tokyo Police Club is making an always welcome return to town. The former Ontario buzz band is back on the road as it continues to support its much-awaited new effort "TPC." The guitar-driven, hook-heavy album is the first full-length collection of music from the refocused group (members nearly split up during the album's recordings) since 2014's "Forcefield." Most recently seen performing at Waiting Room (RIP) during its winter tour of early 2017, TPC's new show in downtown Buffalo will be the latest tally on its growing list of local gigs over the years, one that includes an early-career set in 2011 at Soundlab (speaking of RIP). Fellow Ontario musicians and tour mates Dizzy will provide opening support. The indie-pop act's debut LP "Baby Teeth" landed the quartet a pair of Juno nominations for Breakthrough Group of the Year and Alternative Album of the Year at the yearly ceremony held earlier this week.